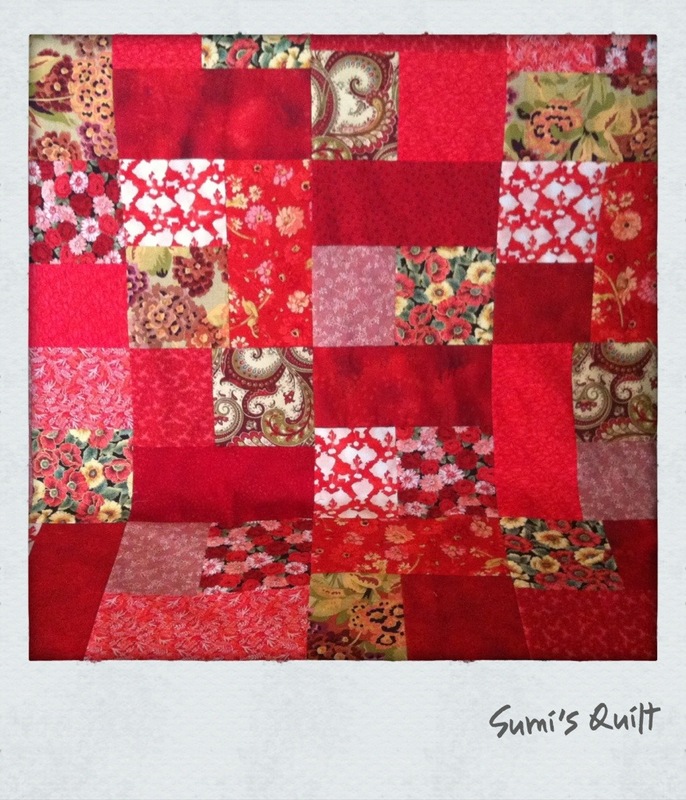 I started off making this quilt for myself out of all the red scraps I saved from last year. 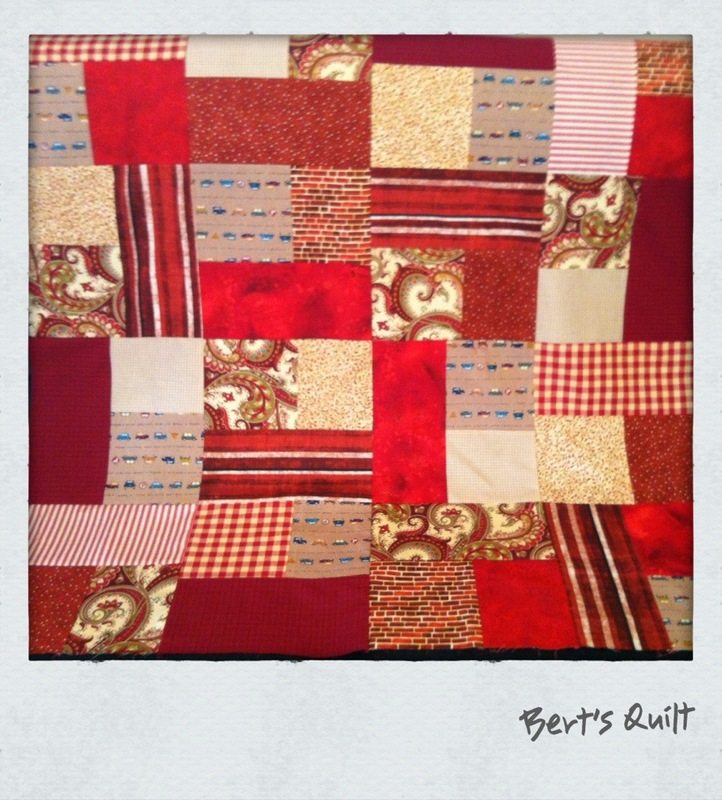 It’s still the Cozy Quilt from Sweet and Simple Patchwork Gifts but I’m using less fabrics than the original scrappy arrangement and finding more of a rhythm in the design. As I stitched along, I realised that it would be perfect for someone else. I wanted to make their wedding quilt in silk but I just couldn’t find the fabrics I saw in my mind. Although they feel different, these cotton patches still glow like the jewels I imagined. The quilt is quite girly so I decided to make a matching-but-not-matching boy version from the leftovers plus checks and stripes of shirting and some cars thrown in for fun. I love the way they look together. The girl quilt has a cream Japanese flowered border and the boy quilt a tiny cream and red check. This week’s major sewing job will be to quilt them both. My mind sees a lot of hand stitched hearts. Reality might be somewhat more practical! Take a deep breath, and machine quilt! The quilt on our bed is quilted in hearts, and it looks fab.